Murray Edwards College has been a professional events venue for over 2 decades, delivering your events to a consistently high standard. Two well-equipped conference centres with auditoriums and flexible syndicate rooms. Versatile meeting rooms in the heart of the College. Modern, delicious cuisine served in unique dining rooms seating from 30-270 guests. Comfortable bedrooms with refreshments, toiletries and free Wi-Fi. Free parking in our on-site car park. 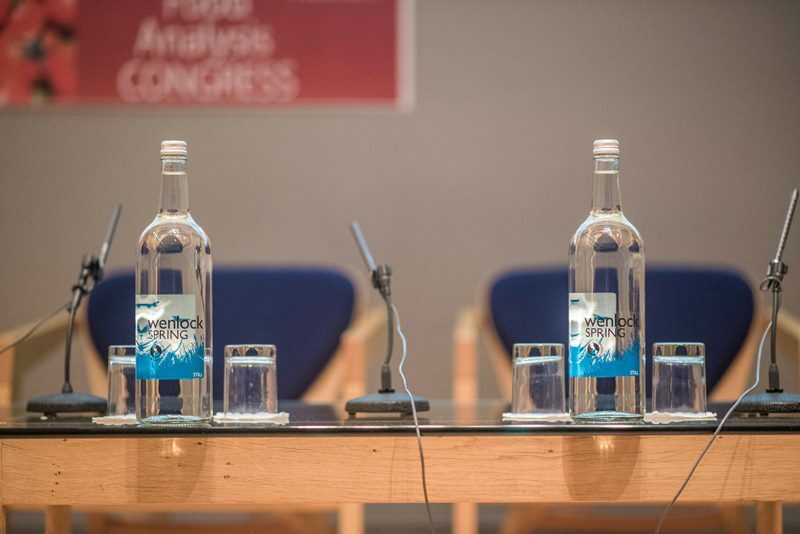 As well as everything you would expect from your Cambridge Conference venue, Murray Edwards also offers distinct aspects that offer your delegates a memorable experience in Cambridge. A permanent collection of modern and contemporary art by women artists displayed throughout College. Buildings designed by Chamberlin, Powell and Bon, one of the most important modernist architectural firms in post-war England. Allow your delegates to arrive hassle-free and ready for your event. The car park is situated on Storey’s Way. Clients repeatedly mention our professional, friendly staff, excellent facilities and tasty food. Recently updated equipment with fantastic support from our experienced technician Ben. Recently included in the Good Gardens Guide, guests are welcome to “walk on the grass” and enjoy the peaceful surroundings. From a variety of refreshing conference menus to sumptuous and seasonal fine dining, your stomach is always cared for at Murray Edwards College. Our Events team have a wealth of experience organising all kinds of events from meetings and conferences to dinners and dances. We work with you to deliver memorable experiences for your delegates and guests in an inspirational environment. We understand event organisers have many balls in the air, so we will remind you when we need information – one less thing for you to remember! Our team are available by email, telephone and face-to-face to record all the important details of your event. Our teams are close and talk frequently about your event; so any updates about the day or on it will be quickly passed on and implemented. 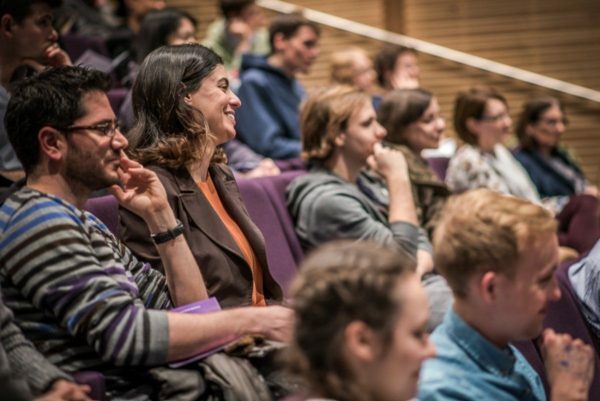 Murray Edwards is perfect for your residential event. Comfortable, modern bedrooms await you and with either en suite or standard facilities we cover all budgets. Wake up to a delicious breakfast served in our unique and stunning Dome dining hall. We have a variety of flexible meeting rooms and break out rooms suitable for 1-150 guests. All main meeting rooms contain fixed AV facilities. Roam our beautiful, informal gardens and take a self-guided art tour through the College. 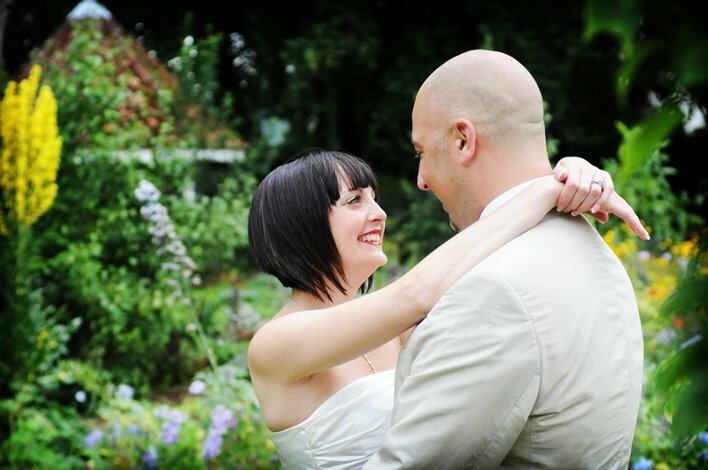 Celebrate your special day in unique style at Murray Edwards College. Following a straight 10 minute route from major roads, M11 and A14, Murray Edwards is exceptionally simple for your guests to find. We are delighted to offer free parking in our private car park off Storey’s Way.